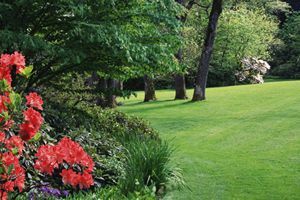 Green Care Lawn and Tree Service, Inc. Comment: I need a new gardener/landscaper. My grass is full of weeds, sprinklers don't work, trees and shrubs need trimming. Comment: I would like to replace my grass in the front and back yards with synthetic grass. Expand my driveway. Comment: My landscape project is not very big. I live in a Villa so my front and backyard area is very small. I've tried growing grass on 3 separate occasions but it always die. I need another suggestion with very little maintenance.. Comment: I need to have my landscaping refreshed in the front yard and back. Need to also have mulch and rocks brought in. Comment: Its a football field that need to be grading. Miami Landscaping Companies are rated 4.83 out of 5 based on 1,372 reviews of 98 pros. Not Looking for Landscaping Contractors in Miami, FL?